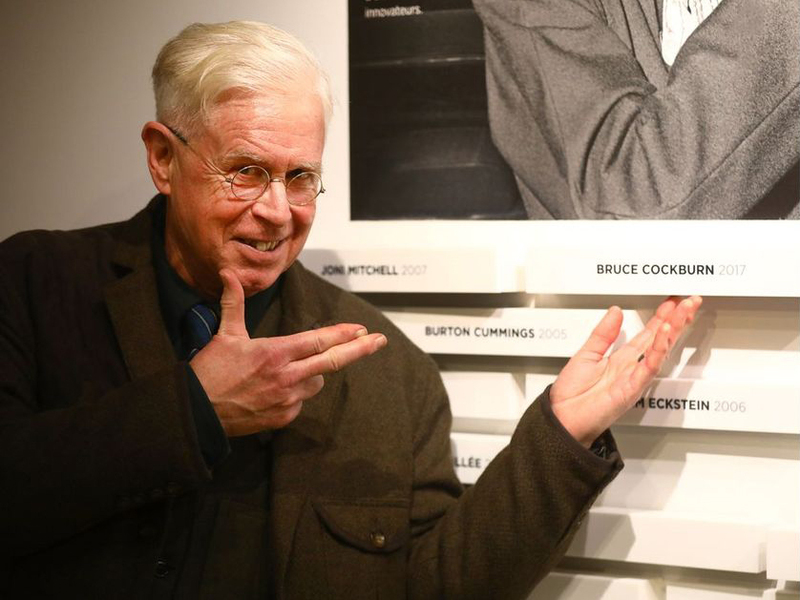 While visiting Studio Bell, Canadian Songwriters Hall of Fame inductee Bruce Cockburn reflected on words and rhythm, and how they play into his songwriting process. 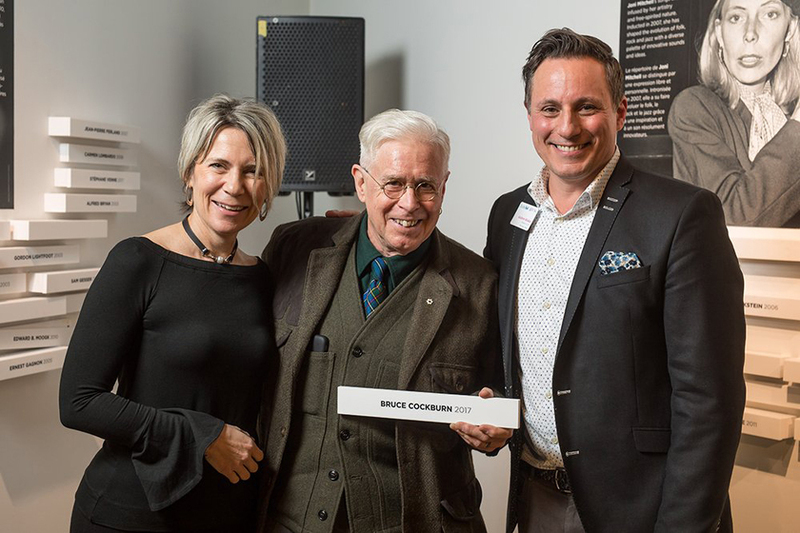 The National Music Centre and the Canadian Songwriters Hall of Fame held the formal plaque ceremony as part of Bruce Cockburn’s induction into the Canadian Songwriters Hall of Fame on January 21, 2018. 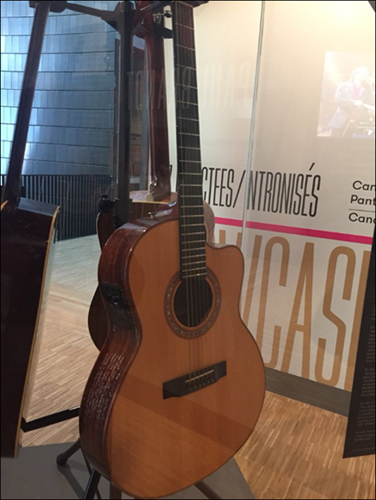 The National Music Centre in Calgary has been the physical home of three Canadian Music Halls of Fame—the Canadian Music Hall of Fame, the Canadian Songwriters Hall of Fame, and the Canadian Country Music Hall of Fame Collection—since opening in 2016. 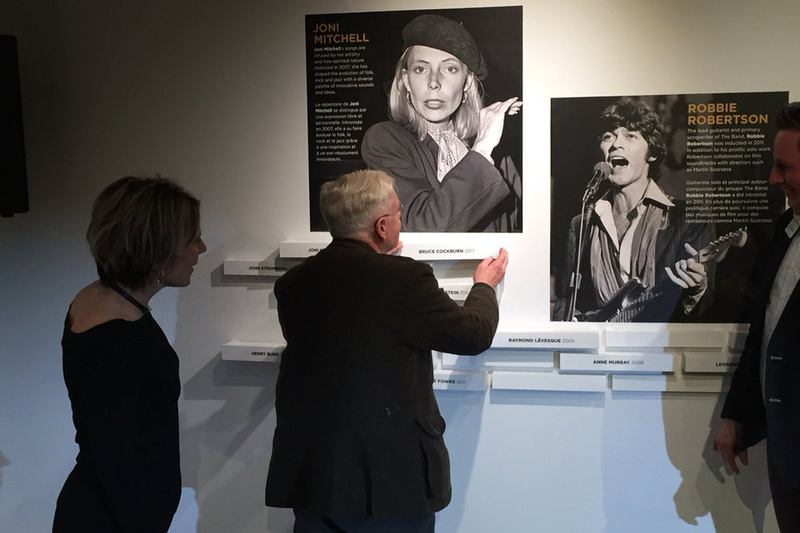 Members of all three Halls of Fame have visited their plaques, such as Sarah McLachlan, Buffy Sainte-Marie, Tom Cochrane, Burton Cummings, Bob Ezrin, Randy Bachman and The Tragically Hip, to name a few. 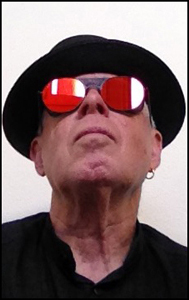 January 22, 2018 – Bruce Cockburn is not in the habit of listening to his old songs. But he did find a unique way to review his canon of music a few years back. 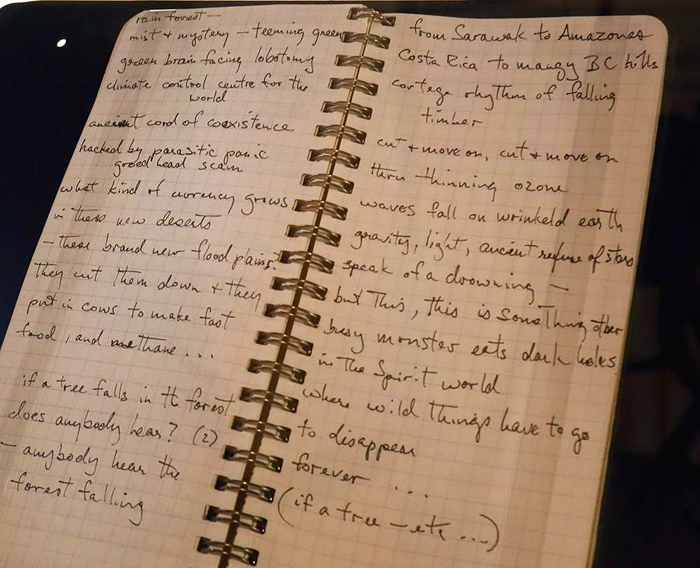 It’s a small battered notebook, filled with scribbled lines, multiple revisions and the frayed edge of a page that has been mysteriously ripped out. 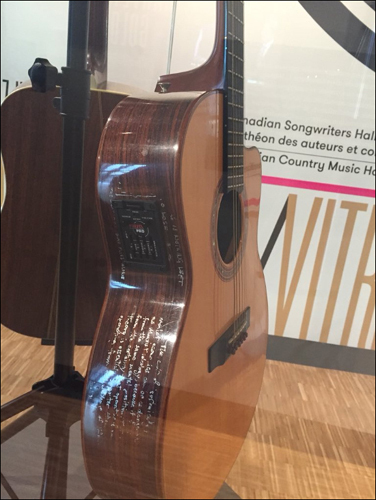 It also represents the inner workings of one of Canada’s most beloved songwriters and the early glimmers of one of his most beloved songs. 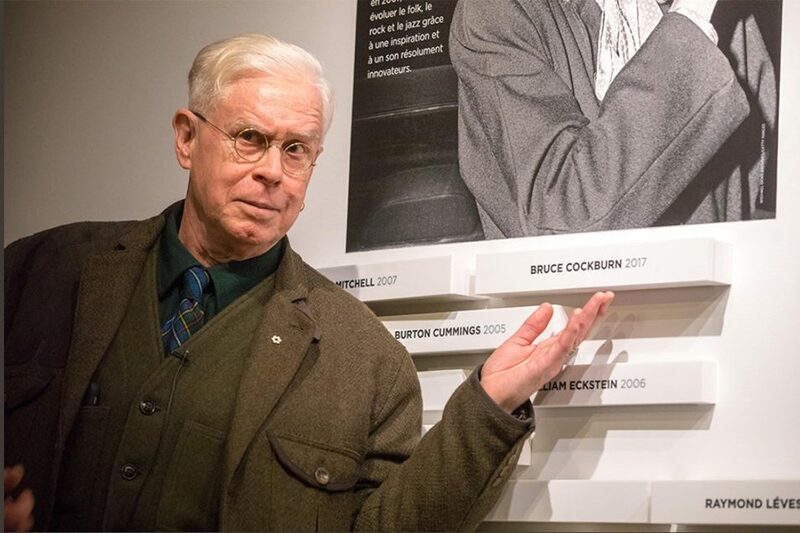 Bruce Cockburn’s handwritten lyrics for Lovers in a Dangerous Time are currently on display as part of The National Music Centre’s temporary exhibit in Studio Bell to honour Cockburn’s 2017 induction into the Canadian Songwriters Hall of Fame. 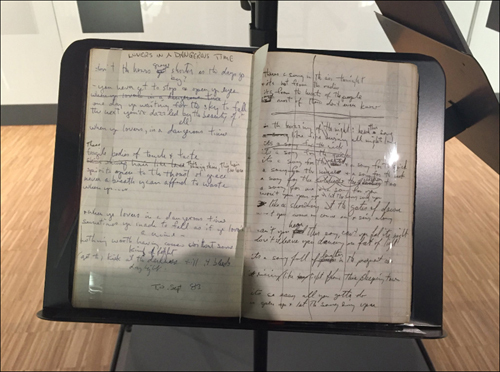 The notebook, which also includes handwritten lyrics for Cockburn’s politically charged hit If I Had a Rocket Launcher, is on display, as is his lyrics from 1988s If A Tree Falls. 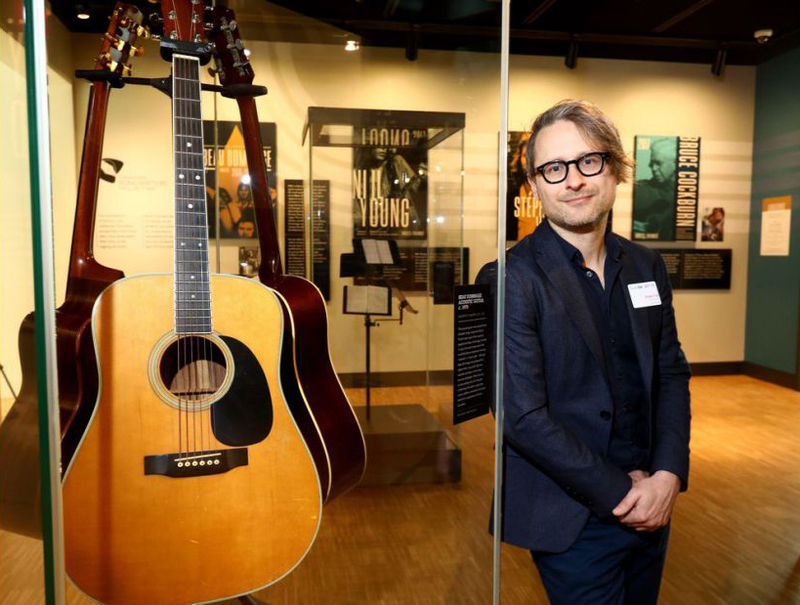 They are both on loan from McMaster University, where many of the songwriter’s archives have been housed since he donated them in 2013. 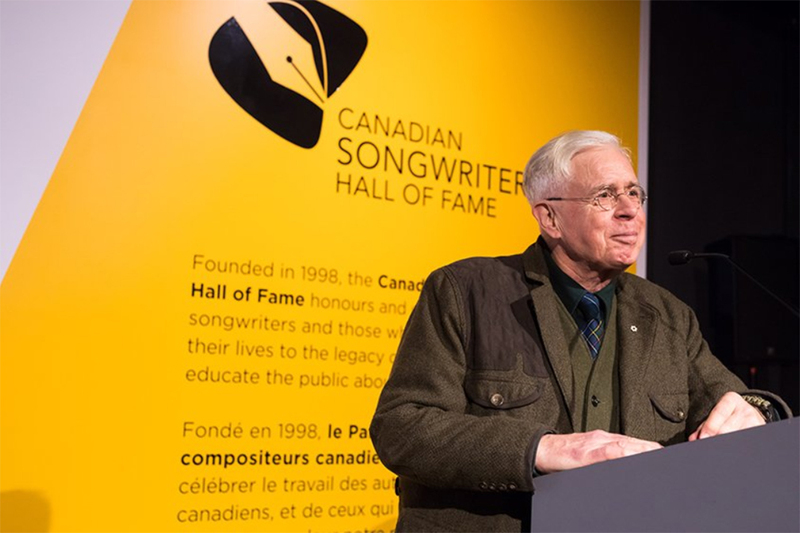 The temporary exhibit, which will be on display on the fifth floor of Studio Bell until the fall of 2018, celebrates a new batch of inductees to the Canadian Songwriter’s Hall of Fame and the Canadian Country Music Hall of Fame. 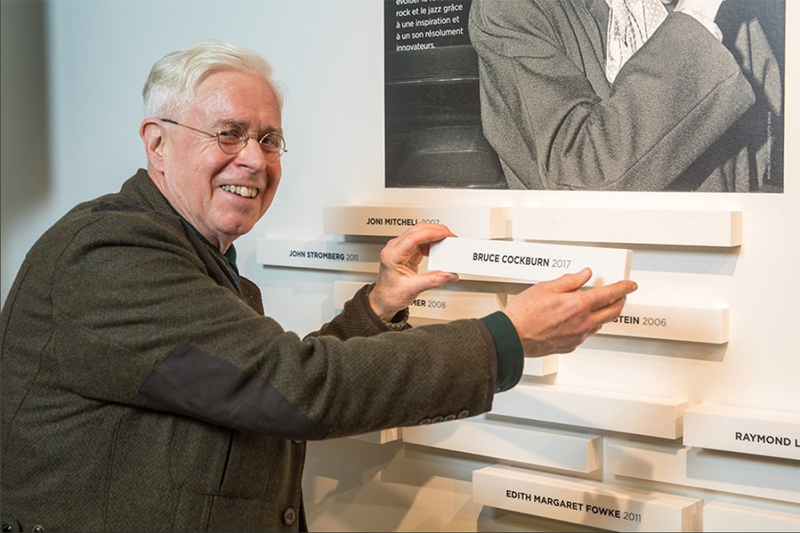 Both now have a physical home at the National Music Centre, as does the Canadian Music Hall of Fame.